Metallica are sharing video of a performance of their 1984 classic, “For Whom The Bell Tolls”, during an exclusive September 27 show for fan club members at Webster Hall in New York City. 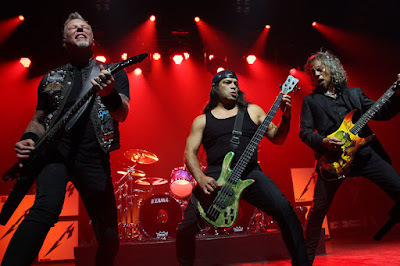 The Webster Hall event was part of a busy week in New York for Metallica, as they played the Global Citizen Festival in Central Park on September 24, and performed on both The Howard Stern Show and The Tonight Show Starring Jimmy Fallon. Metallica will perform a pair of acoustic sets at Neil Young’s 30th anniversary Bridge School Benefit Concerts later this month before launching the first leg of the Hardwired world tour in San Juan, Puerto Rico on October 26.